Harriet and Graham married at Wadhurst Castle, East Sussex. They chose to display the cake in the breathtakingly beautiful Winter Garden which matched the design perfectly. 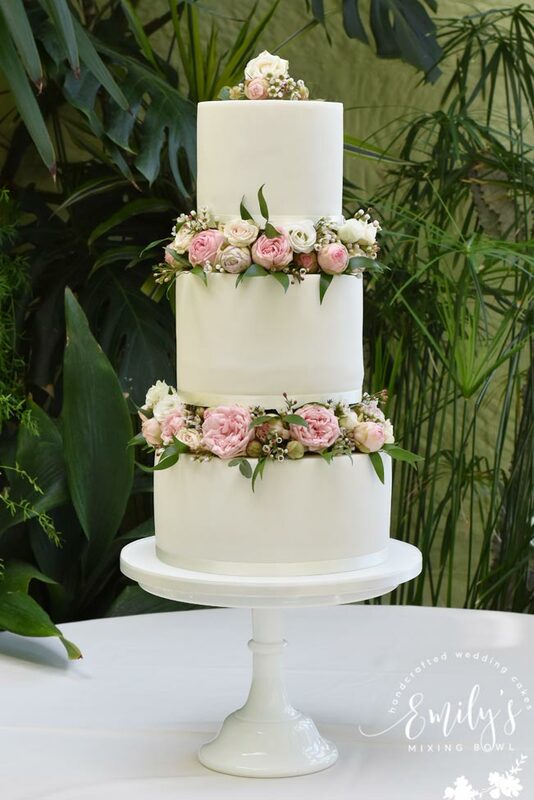 This 3 tier cake had separators between each tier and was decorated with stunning fresh flowers provided by Kim at The Flower House Studio. I loved the simplicity of the cake with the fresh botanicals.